StatLock ® Stabilization Devices are a more effective and productive alternative to tape in helping improve clinical outcomes, quality of care and economic efficiencies. 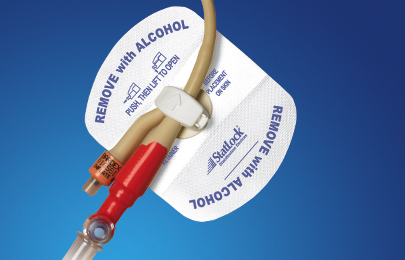 Clinical studies comparing the securement of catheter IVs using tape versus StatLock® Stabilization Devices demonstrate that StatLock® Stabilization Devices are unrivaled in helping to improve patient outcomes, quality of care and economic efficiencies. The results demonstrate that the innovative designs of StatLock® Stabilization Devices provide superlative results in promoting healthcare worker safety and patient satisfaction. The comparative data makes a persuasive case as to why StatLock® Stabilization Devices are more effective than traditional forms of tape and suture securement to achieve the positive outcomes you seek.